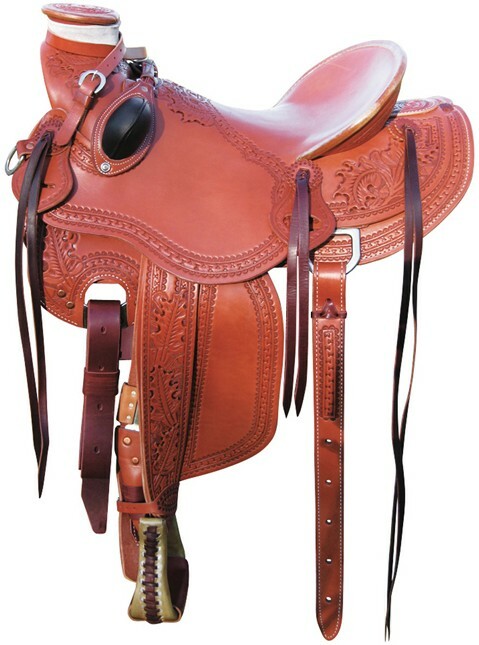 Each saddle maker at R. W. Bowman Saddle Co., LLC has no less than 25 years experience at the bench. 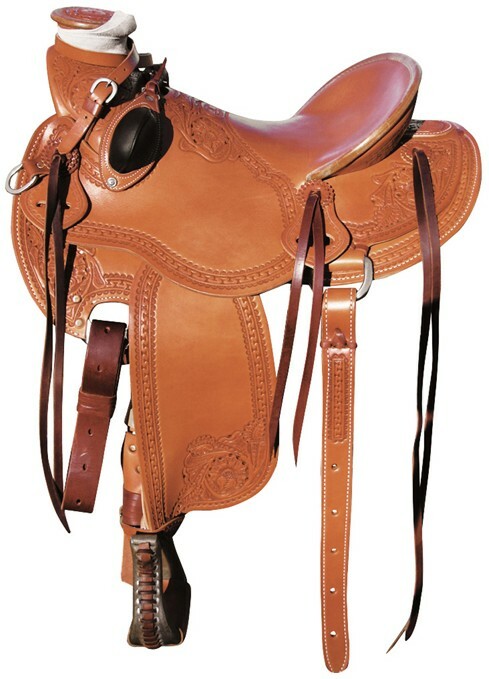 We are able to bring all this experience together to produce top-of-the-line American made saddlery products that will serve any western rider at any level or discipline. Seat Size: Available in 15.5", 16" ,16.5" and 17". Skirts: Length 27"; Width 14", lined with genuine bark tan 1" thick wool shearlings, 1" density. 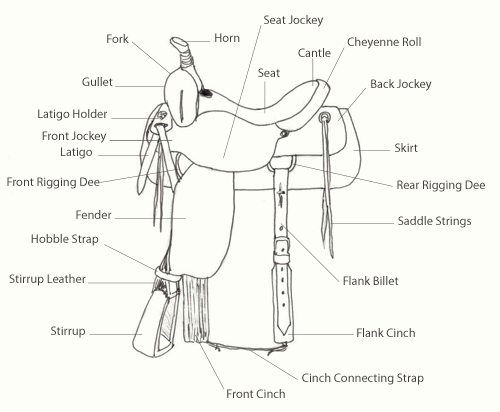 Cantle: Height 3" Width 12½"; Dish 1 ¼"; Style 2½" Cheyenne Roll, Hand Sewn. 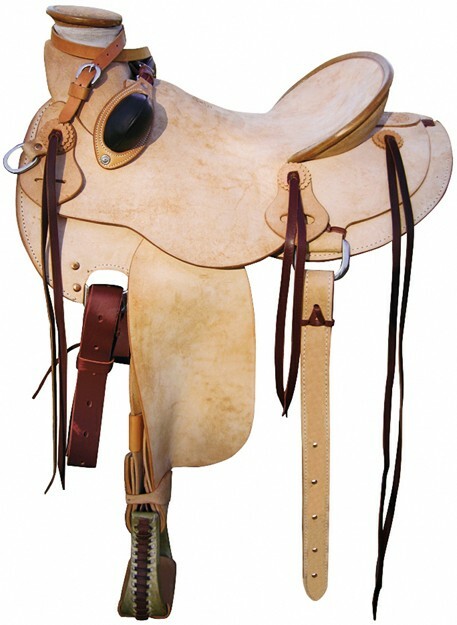 Stirrups: Wooden metal bound leather covered, machine sewn bell stirrups with 3" treads. Rigging: Double dee rigging in full position. Hardware is Stainless Steel. 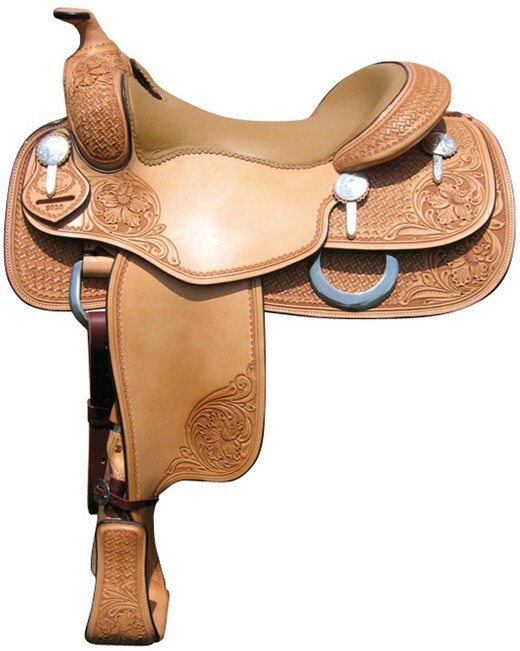 Trim: Sterling Silver Overlay Conchos with tips. All Hardware including the saddle screws and washers is stainless steel. We use the Union Lockstitch to sew and pull the 277 white nylon thread tight at 5 1/2 stitches to the inch. Finish: Each Reiner first receives a warm coat of 100% pure neatsfoot oil followed by a generous coat of Aussie Leather Conditioner. 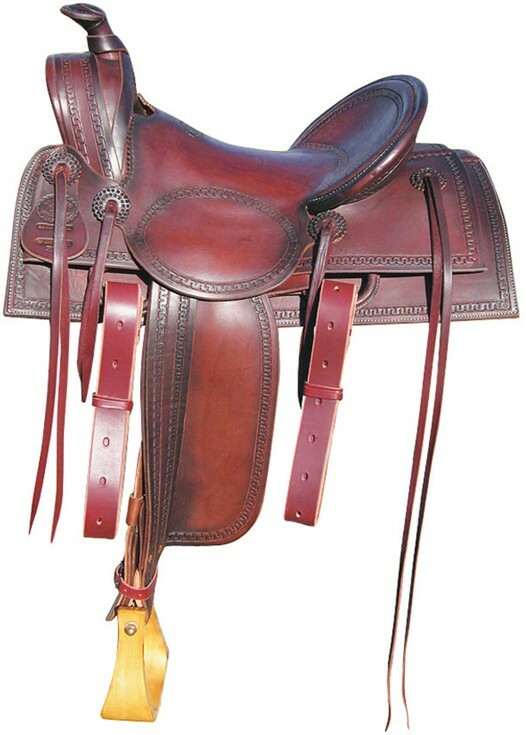 Edges are burnished by hand rubbing. Tooling: Hand carved floral with Hamley swirl.